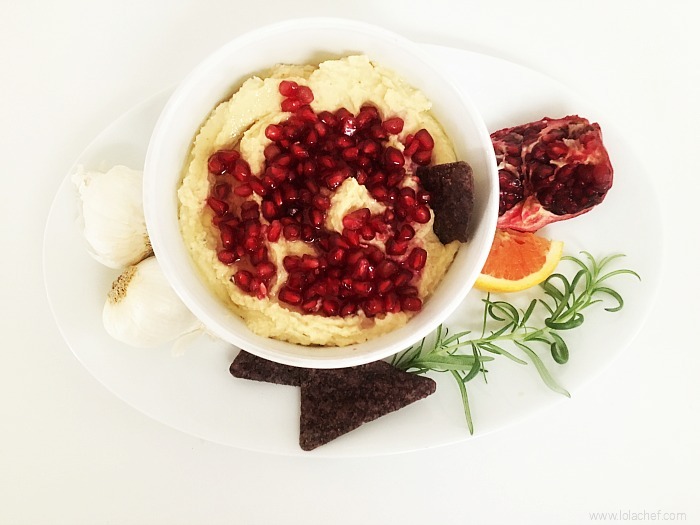 Would you believe that all of these ingredients got along well in this hummus recipe? I really wanted to make a healthy recipe using all of these ingredients. 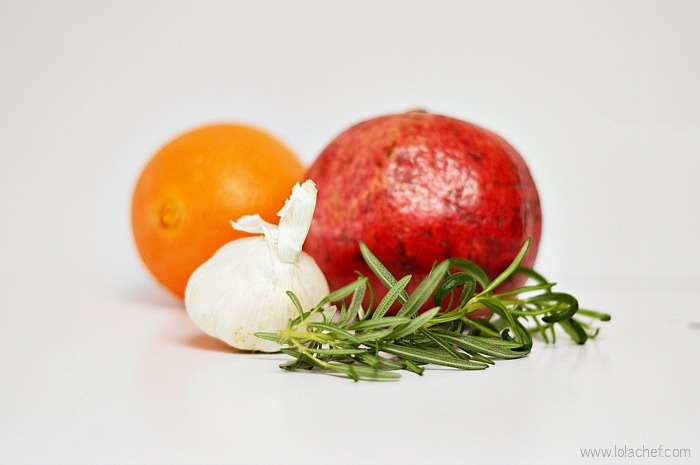 That is not an orange hiding behind the pomegranate….it’s a pink naval fruit. 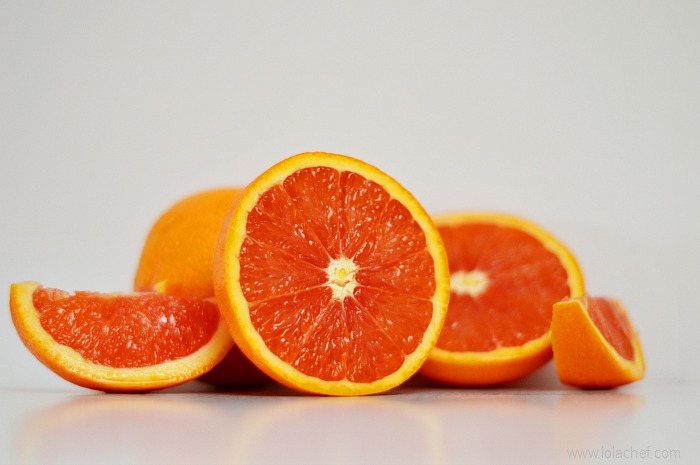 Also called the pink naval orange, it is like a cross between an orange and a grapefruit. It actually tastes like a mix of grapefruit and orange together. I used the pink naval orange instead of lemon in this recipe. Basic classic hummus recipes typically use chickpeas/ garbanzo beans, lemon, olive oil, garlic, and tahini. At first, I always omitted tahini because I couldn’t find it anywhere. So I did some research and found that it is made with a neutral oil and sesame seeds. I LOVE sesame seeds or anything sesame. I decided to make my own and try it and turns out….it’s super easy! For this recipe I used fresh ground garlic, chick peas, 1 tbsp finely chopped fresh rosemary leaves, some zest from the pink naval fruit, avocado oil, salt and more juice from the orange fruit. I added pomegranate as a garnish with extra juice from the pomegranate drizzled on top. When you basic hummus you can use canned chickpeas/ garbanzo beans, especially if you don’t have a lot of time. If you do have an extra few minutes, I suggest soaking dried chickpeas overnight in water and boiling them before making hummus. This tastes a lot fresher and you can make a lot more. Also, chickpeas are bland, you can play around with ingredients to your liking. You can add more garlic, salt or lemon to make it taste how you want it. A hummus recipe usually calls for olive oil which is very healthy. Recently, I started using avocado oil. Not only does it taste great but it has so many of its own health benefits. 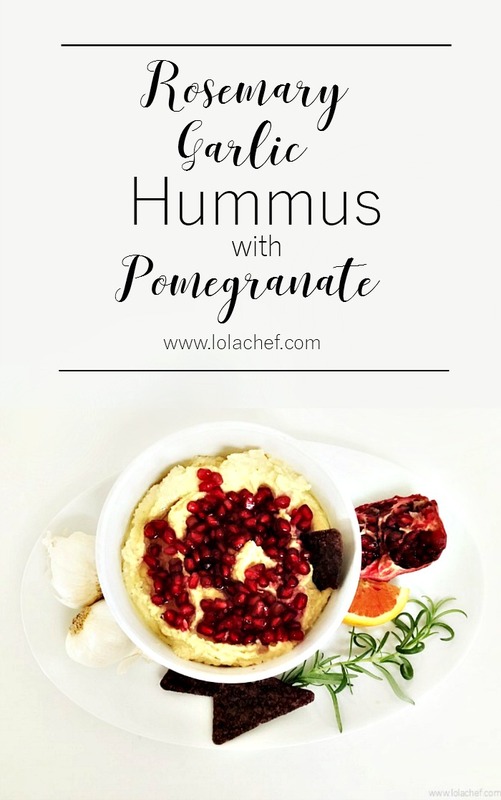 I liked it in this recipe, it gave the hummus a good balance of flavor. I used the smaller food processor piece of the Ninja Master Prep Professional (QB1004) for the hummus recipe and for the tahini. 2 large or 3 small garlic cloves. In a food processor, add 1 cup garbanzo beans, 1 garlic clove,tbsp avocado oil, fruit juice, tahini salt and a few tablespoons of water. Mix and blend well, place finished batch in a medium bowl. Place rest of ckickpeas, and ingredients in processor and blend. When done add mix all ingredients together. The whole batch may not fit in the processor, I do small amounts at a time tweaking ingredients to taste. Once finished add pomegranate seeds and extra pomegranate juice to top for garnish. I add 1 cup of chickpeas/garbanzo beans at a time adding small amounts of the other ingredients in small batches. Once all finished blended ingredients are mixed add more or less salt or any of the ingredients to taste. Once blended, add pomegranate juice and seeds to top and enjoy! If you haven’t used a zester before here is a link. using the zest of a citrus fruit for recipes really does make a difference. This is the tahini recipe I used for this hummus. Place all ingredients in a food processor and blend well. This should turn into a puree or liquid depending on how you like it. I topped with pomegranate seeds and a little bit of the juice. No such thing as too much pomegranate. You can use so many different chips, crackers or vegetables to dip in hummus. I really liked blue chips with this recipe. I also like flat pretzels and my favorite wheat crackers, or pita chips. 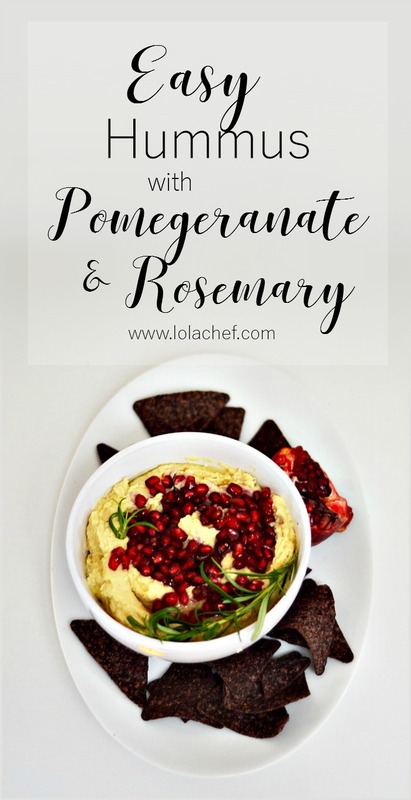 A healthy hummus recipe using rosemary, garlic, and pomegranate and avocado oil. This sounds so good!!! I have never tried a pink navel before. I didn’t even know they existed!